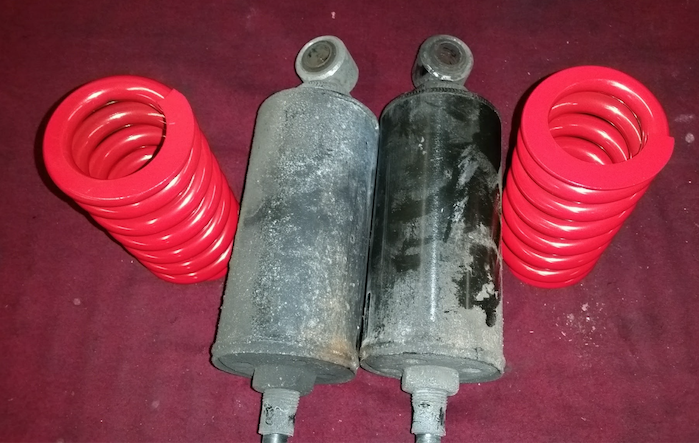 Rear shock spring replacement is an inexpensive upgrade for any Harley Davidson Softail model. A Softail may “bottom out” when two up riding, when loaded up, or if you’re simply a big Dude. 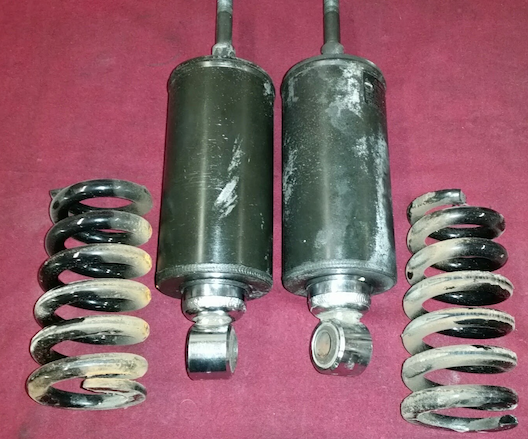 Upgrading to Progressive Suspension shocks is an excellent upgrade but it can be expensive. LA Choppers offer replacement springs that can be installed into the stock Harley Davidson shock canister. They also fit Progressive Suspension shocks. These springs are offered in three different sizes. All are ideal for lowered Softails and are stronger than stock springs. They are ideal for preventing bottoming out. Blue springs are recommended if occasionally carrying a passenger or the rider weight is between 220 and 290 pounds. They are rated for 1300 psi. Gray springs are for bikes that often carry passengers or the rider weight is over 300 pounds. These are rated for 1400 psi. 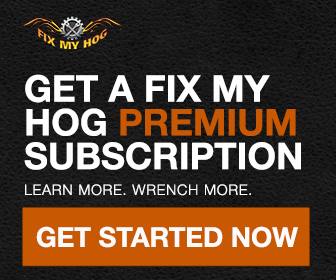 You will need a hydraulic shop press and a vise to service the shocks. Replacing the springs is not deeply involved but there are a couple of obstacles to look out for; or at least be aware of. Secure the motorcycle to the lift with straps in the front and use a flat jack, positioned beneath the motor, to lift the weight off of the rear wheel. You can remove one side at a time or both shocks together. Either way is acceptable as long as you are capable of starting the four shock bolts straight upon reassembly. This is of upmost importance. Cross threading a shock bolt can be damaging to the motorcycle’s frame. This can be very difficult and time consuming to repair. Use a 3/4″ wrench or dog bone to loosen and remove the four shock bolts. Carefully press the shock until the retaining ring can be removed. Slowly release the pressure. Remove from press and disassemble the shock body. It is important to clean everything, especially the shock canister, thoroughly before reassembly. Adjusting Softail shocks when installed is difficult because there is very little room for working/your tools. If any adjustments are to be made, do them now while the shock can still be placed in a vise. Set up both shocks the same and reinstall onto the Softail. Check out the FMH video on this topic.